PanARMENIAN.Net - The prestigious Fitch rating agency has assigned ACBA-CREDIT AGRICOLE Bank a Long-term Issuer Default Rating (IDR) at “B+” with stable outlook. According to the report published by the agency, the assessment was based on the bank’s internal financial viability. When defining the rating, the agency considered the Bank’s absolute leading position in the sphere of agriculture financing, infrastructure facilities including the number of branches in all the provinces of Armenia, as well as its high level of liquidity. Fitch also said in the report that amid the hard macroeconomic conditions in the recent years the bank has concentrated on asset quality improvement, managing to limit the rapid growth of loan portfolio. All this has and will help reduce asset risks and increase profitability. 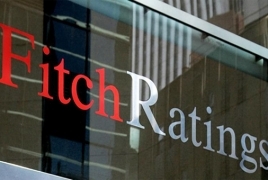 The assessment by Fitch is the highest possible for companies in Armenia, which reaffirms the leading position of ACBA-CREDIT AGRICOLE Bank and its transparent structure.